It’s so great to be able to take the family away on a mini getaway to one of the world’s most prestigious beaches in Australia. Just the other day I read the Whitsundays topped the list for the fourth year running with many Queensland beaches dominating the top 10. How can it not be? The water temperature was between 25-28C degrees, the weather was pleasant and mild, never changing and stayed consistent until we went to bed at 27C degrees. Then we would wake up with our locals at 6am and it was 26C degrees again. Pure magic. Slight drizzle on occassions to get us cool and wet and then it was back to magic blue skies and fun times! Besides there are endless swimming pools surrounding our every move and not to mention the divine Catseye Beach. For kids it was all about adventure! so when I told them about Hamilton Island’s Quads for Kids they were over the moon. They are total adrenalin junkies and with this short, child-friendly quad circuit it was the perfect morning activity. That's what travel is all about for me and our family. FUN! 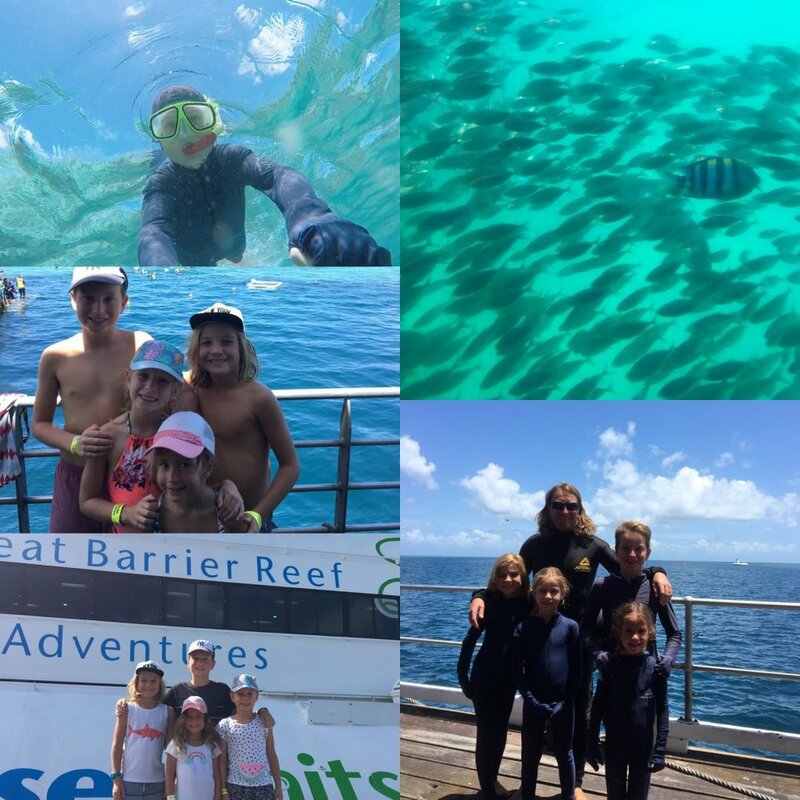 We had the best family fun time, not only did the kids get to snorkel, kayak, stand up paddle board, play table tennis, ten pin bowling but we also enjoyed a beautiful picnic on Whitehaven beach. The Cruise Whitsundays Whitehaven beach picnic was an absolute dream, it even catered for our new plant based lifestyle. Just check out this delicious veggie burger Noah enjoyed with an array of chickpea, noodles and green salsa pasta salads. Super tasty! Adrian and I were even able to fit in some romantic time alone while the kids were exploring the rock pools around us. Not to mention the following day another sensational day out with the Cruise Whitsundays crew checking out the Great Barrier Reef tour. The kids saw turtles, spectacular coral and colorful fish, sting rays and schools of fish. We didn't have much luck finding Nemo, never the less this was one experience they couldn't stop raving about. As they said it was a "once in a lifetime opportunity" to see this magical place and I was super chuffed I was able to help them check this off their "places to go" around the world. We seriously couldn't get enough of this place! There's so much to do, eating breakfast with the koala's, hiking, walking, exploring etc... I am sure you will find this place as exciting and adventurous as much as we did. Plan and book your next holiday in advance; I booked my flights through Virgin Australia and so should you to build and create your family memories that will last forever. For those that missed our daily Instagram stories I have captured them in my Youtube gallery as well, however page further down to watch all the funny moments in our day. 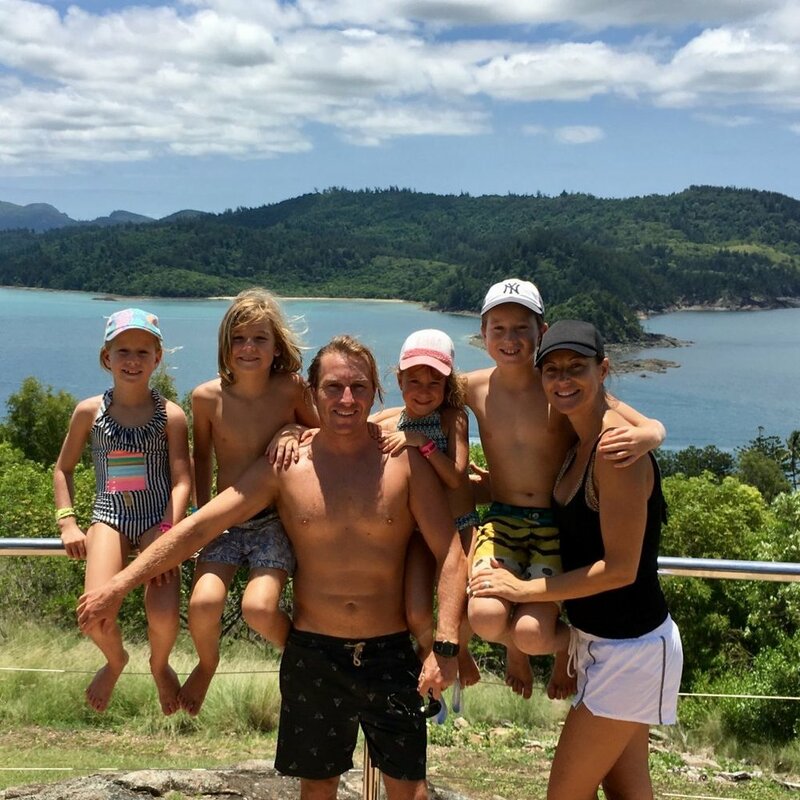 You will even see a video where Adrian proposed to me 14 years ago on the Marina and where the kids look out and we talked about how Daddy proposed and how our young Nomadz6 family story began right here, in Hamilton Island. I don't think I need to convince you anymore to visit this slice of paradise. You will honestly feel so rejuvenated as soon as you step off the plane. You will escape the everyday life you left behind only to spend quality time re-connecting with your family and friends (plus the buggies are a whole heap of fun too!) AND I assure you, you will make any excuse under the sun to come back to visit this place again. There is always something new to do here and my next dream weekend getaway is at least 3 nights at the Qualia Resort. Remember Mum and Dad need some romancing with the stones as well. DREAM BIG I say, you know that my mantra. YOU are the only one that can make your dreams come true. SO GO AHEAD! BOOK TODAY!!!!!! !